Welcome to our Big News section for all the latest news concerning Military Disability. We'll do our best to keep you up to date on everything that could affect your disability. Since the majority of our news will cover legal issues that can be dragged out for a long time, if you'd like an update on an issue, let us know, and we'll do what we can. Please feel free to comment and submit questions. We want to give you the information you need, so help us by letting us know what you want to know. This page is strictly for the latest and upcoming news. If you are looking for specific information about the disability system or your disability, see our Military Disability Made Easy Blog or our website, www.MilitaryDisabilityMadeEasy.com, for all the answers you'll need. On March 24, 2014, both the Vietnam Era Veterans' Readjustment Assistance Act (VEVRAA) and the Jobs for Veterans Act were revised to encourage all Federal contractors and subcontractors to hire more veterans. In 2013, American veterans had an unemployment rate of 6.5%, with disabled American veterans at 6.2%. The unemployment rate varies from state to state, with more than 10% in Michigan and New Jersey, and less than 4% in Delaware, Iowa, North Dakota, Vermont and Virginia. The new regulations require these Federal employers to be more proactive in hiring and retaining "protected veterans" (see definition below). All employers must establish their own annual benchmarks for hiring veterans in one of two ways. 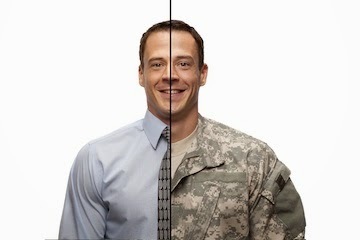 They must either use the national benchmark of the current percentage of veterans in the civilian labor force (currently 7.2%), or they must create their own benchmark based on numerous factors, including their state's veteran-to-civilian ratio, the availability of veterans who are properly qualified to perform the necessary job requirements, etc. Disabled Veteran: A veteran who served on active duty and is entitled to disability compensation because of a service-connected disability. Recently Separated Veteran: Any veteran who was discharged within the past 3 years. A veteran no longer qualifies under this heading once he has been out of the military for more than 3 years. Armed Forces Service Medal Veteran: A veteran who participated in a military operation and received an Armed Forces Service Ribbon. Other Protected Veteran: A veteran who served on active duty when a campaign badge was authorized under the DoD. Two databases were recently founded to help Federal employers meet these requirements. The VEVRAA Benchmark Database contains all the necessary information employers need to set their own hiring benchmarks. The Disability and Veterans Community Resources Directory helps employers locate, train, and hire potential veteran employees. These changes are a fantastic step toward fixing the serious veteran unemployment problem. Hopefully Congress will also pass the Claims Processing Improvement Act of 2013 soon so that the VA will begin to hire more veterans as well. MDME has been the leading website in Veterans' Disability since 2013. Understand the DoD Disability and VA Disability processes, find how your conditions are rated, and take control of your disability today! © 2013 by www.MilitaryDisabilityMadeEasy.com. Simple theme. Powered by Blogger.